I wish! More than anything, more than life! That all stage musicals would be made into movies! 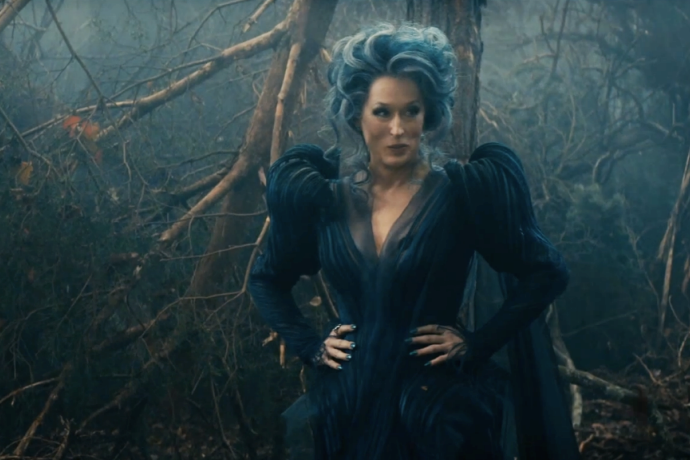 Especially with the care that Rob Marshall brings to his film adaptation of Stephen Sondheim's beloved musical "Into the Woods." People are very protective of this show (and musical theatre in general), and being a fan, I thought this was a solid portrayal. Several kids were sitting in the audience and were amused and entertained by the numerous fairy tales intertwined into one story. You've got Little Red Riding Hood, Jack and the Beanstalk, Cinderella, Rapunzel - this is a town I'd like to live in. Everyone is beautiful and has killer pipes. The great one: Meryl Streep. Though some of the casting may have caused uproars when it was announced earlier this year, everyone truly brought heart to their role. Emily Blunt is freaking gorgeous and can sing like a canary. The one and only Meryl could play a chair and it would be the perfect choice, though it's impossible not to compare her to the other great one, Bernadette Peters, who originated the role of the Witch on Broadway. Meryl's performance of "Last Midnight" didn't give me quite the chills the climactic song typically does when I hear Bernie sing it, but that's me being VERY picky. Meryl evokes a lot of sympathy as the Witch, bringing another dimension and emotional level to the character that we traditionally choose to root against. 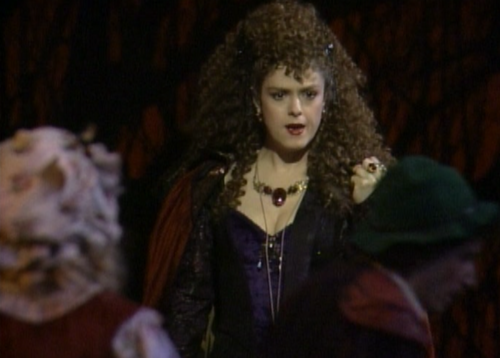 The other great one: Bernadette Peters. Chris Pine and Billy Magnussen's duet "Agony" is the most hilarious scene, worth seeing the movie for. Every line Pine's prince delivers is of utmost narcissism. He is fantastic in this role and is getting to be so good-looking it's disgusting. Anna Kendrick was a casting choice I questioned but now appreciate. She isn't the traditional Cinderella I imagine, but she is likable and relatable and kills all of her songs. Don't blink, or you may miss Johnny Depp, a strong choice as the Wolf. Though his "Hello Little Girl" gets a little child molestery on poor Little Red. I suppose this song has always been a bit chi-mo but I didn't notice it until now. Besides the set looking a little fake, I have very few complaints about this film. If you're a fan of this musical, you will no doubt enjoy singing and bopping your head along, but if you aren't familiar, you will probably be dying for one spoken word (surprise! there are none). This is a refreshing take on the soundtrack, and a thoughtfully done production.